There are lots of reasons to want to teach Pilates and I wanted to take a few moments to tell you about why I teach and why I am super excited to be able to mentor new teachers as they start their Pilates teaching journey! When you are learning Pilates, your teacher is everything. A good teacher lights you up with their excitement for the method. A good teacher inspires you to stick with it on days you could easily throw in the towel. A good teacher shares in your joy as you progress. Your teacher becomes part of your life, a trusted mentor in your movement practice. So what makes a good teacher? I believe that besides the details of knowing what you are teaching, passion, heart and a love for what you do make you great! There are no age limits or body size restrictions. You don’t have to be able to do each exercise picture perfect to be a great teacher. If you are willing to be a student of the Pilates method and are willing to learn…you will be a great teacher, a teacher who inspires others and changes lives by doing something you love! The process of learning to teach Pilates is very much like the process of learning Pilates. It takes time, and practice and it’s not always easy, but oh so worth it!! If you are feeling inspired to start your Pilates teaching journey I would love to tell you more about our Pilates Mat training program. This 150 hour training program is designed to get you started teaching Pilates mat work in 6 -12 months and if you decided you want to dive further into the Pilates method our program has options to continue training learning the Pilates equipment in a mentorship atmosphere. Attend one of our informational meetings to learn more about the program, ask me questions and even ask past trainees in our programs questions about their experiences. The Body Precision Pilates Training Program teaches the classical work focusing on the proven concept of layering in exercises safely, based on client needs and compensations. Our goal is to produce successful teachers who clearly understand body mechanics relative to Pilates, who safely yet creatively teach purposeful lessons and who believe in the integrity of the Joseph Pilates Method. The Body Precision Training program was developed in 1998 by Body Precision owner Beth Downey and currently boasts over 100 graduates. Beth has been teaching since 1996 and completed both The Comprehensive Training Program and the Masters Program at the renowned Pilates Center of Boulder. Body Precision is nationally recognized and listed on the Pilates Method Alliance’s Registry of Schools. Carey Sadler, owner of Rivercity Pilates graduated from the Body Precision program in 2001 and went on to teach for Body Precision and assist with the instructor training programs. 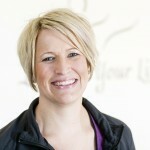 Carey moved back home to the midwest in 2008 where she opened her studio and started teaching the Body Precision programs. The Body Precision comprehensive curriculum is offered in modules to account for time and financial constraints. This offers flexibility in completing portions of the training at different times as schedule and budget allow. In addition, Body Precision has comprehensive training manuals and DVD’s to support the workshop hours. You can choose to do portions of the training or complete the entire program, learning every exercise on every piece of Pilates equipment. Along with learning the exercise repertoire, you will be given teaching skills which build into a successful and comprehensive Pilates instructor. The workshop hours go hand in hand with the apprenticeship program so the lecture information can be applied in a practical setting. There is also a 6 hour anatomy course to learn the muscles and bones as it relates to Pilates. In addition, written, teaching and performance tests are required as part of the process to increase the skill level as well as contribute to the overall learning process. Rivercity Pilates provides a flexible and supportive environment to all trainees. Click Here to Download Our FREE Guide: 9 Things to Look for When Researching Teacher Training Programs! If you are interested in learning more please fill out the form below or call us at 319.665.2499 to learn more about our programs!